Whilst at Consarc Architects, Freehaus directors, Jonathan and Tom had key roles leading the refurbishment and new extension to the Grade I listed building, Stratford House. Home to the Oriental Club, a private member's club, the Robert Adam inspired building dating from the 1770s was constructed for Edward Stratford, later the second Earl of Aldborough. 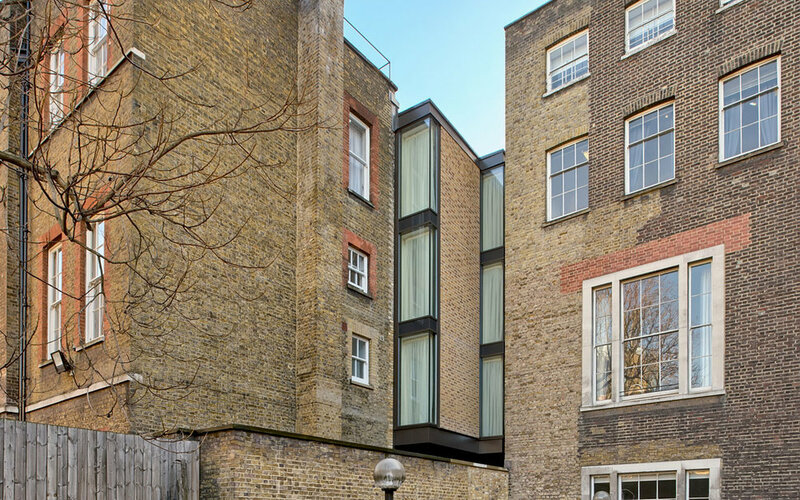 The project involved the sensitive infill of an existing Victorian lightwell with five storeys of new accommodation within the historic Stratford Place conservation area in Westminster, London; preserving the essence of the original building whilst upgrading it to 21st century standards. Not only did the site suffer from severe spatial constraints, which impacted on design and construction techniques, but it also sits above the proposed Crossrail interchange at Bond Street and an underground river. 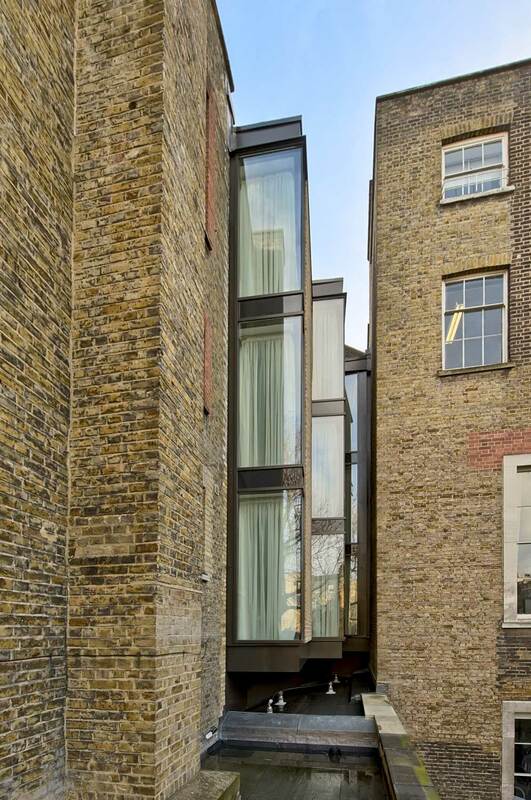 All of these conditions were reflected in the careful design of a lightweight infill extension to the existing listed building. Alongside the overall delivery from inception through to completion, Jonathan was Contract Administrator for the project and was responsible with all dialogue with English Heritage and the Conservation Officers from the Local Authority. Particular attention was paid to the contextual relevance of the selected materials and the threshold details between new and existing buildings to ensure that the proposal respected rather than imitating the original Georgian mansion house. The finished scheme provides over 500sq/m of additional residential accommodation and facilities for club members along with ancillary accommodation and office spaces for staff. Stratford House between 1894 and 1908.